We came, we ate, we drank, we laughed, and yes, privately we wept. This woman we all love so dearly, once so physically vibrant, now slowly, slipping away from us. We came to be strong for her now that is hard for her to be strong. We came to celebrate her while she is still here and her inner spark, while dimming, still shines. To tell her how much we love her. To tell her in how many ways she has empowered us all. To honor her being, her life, her spirit. She, the instigator of frivolity and shennanagins. The wife, the mother, the woman, our friend. Out spoken, yes, but truthful. Caring and accepting of who each of us are, but also not afraid to tell us if we were messing up. At sunset, the fireflies came out. We enjoyed their dancing lights in the woods. As I watched their lights flickering, I was reminded how fleeting our time here really is. We all come from the Goddess ... and to her we will return ... like the drops of rain ... flow into the ocean. Words from a favorite chant. 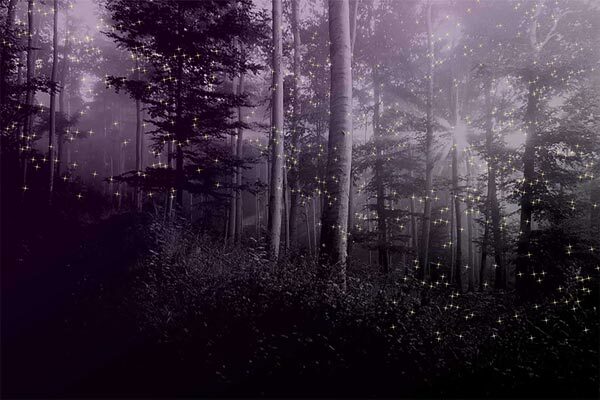 Fireflies come every summer, they fade, and then they return. The circle of life. And as I watched her beautiful baby girl, now a strong, independent and empowered woman, I realized her light will always shine on through her. I am reminded to take every moment and opportunity to let those I care about know ... I LOVE YOU!